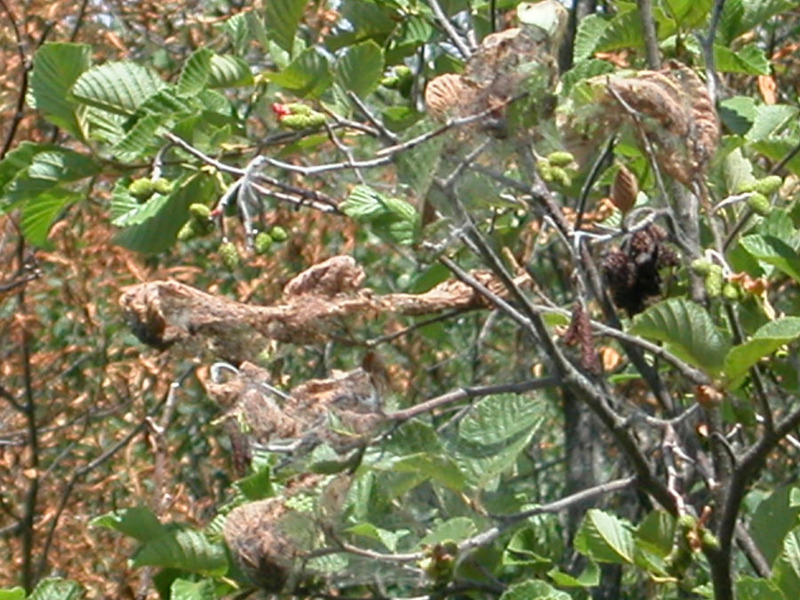 Web-like nests of fall webworm caterpillars, a common native pest active from July through September in Wisconsin, are beginning to appear in parts of the state. On larger trees, 2 might be useful. Apply appropriate while caterpillars are inside the nest in the morning or late afternoon. Chemical treatments are most effective on small, young caterpillars such as those present in late July/early August. Larger, solitary caterpillars are harder to control with pesticides. When applying pesticides, it is important to make sure that the nest is completely penetrated. Always read and follow label directions for safe use of any pesticide.